Do you love the aroma of vanilla and cinnamon? 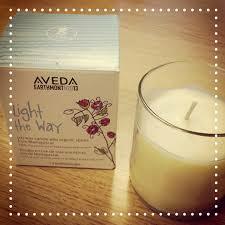 Stop in and experience the limited edition 2013 Aveda Earth Month Candle. The Sweet Vanilla and Spicy Cinnamon are both organic and grown in Madagascar. 100% of the proceeds from the $12 candle purchase go to clean water projects in Madagascar. One purchase can provide clean drinking water for a person living in Madagascar for one year. Light the Way and make a difference in someones life.